Spreading joy, one vintage song at a time! 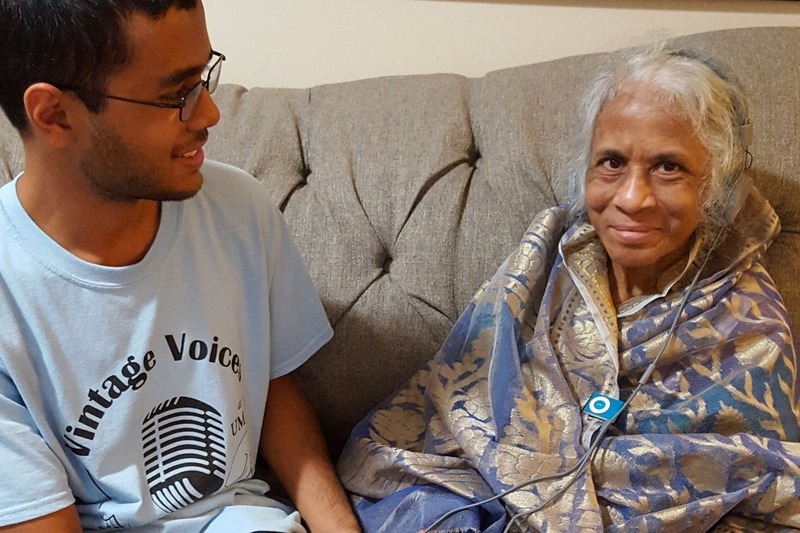 Vintage Voices is a student organization at the University of Maryland that uses music to improve quality of life for senior citizens and gives them a voice on campus. Our purpose is to brighten their days, touch their hearts, and bridge the generational gap through rejuvenating music. We perform sing-alongs shows of oldies music at senior living communities. And, to make the music last longer, we also launch iPod programs at these communities, train staff on how to use iPods, and donate iPods and headsets so that residents can listen to their favorite music, anytime. All funds raised will go towards buying iPods and headsets for residents, so please consider donating to spread the joy of music! You can also donate an iPod , or attend our benefit concert in the Atrium in Stamp on March 12 @ 8pm! The suggested donation for entry is $5, but of course any donation is welcome! It only takes $25 to sponsor a resident. Check our Facebook page for updates, and our website to learn more about Vintage Voices. Thank you so much for your support! Donate $25 and sponsor a resident! This buys an iPod and a headset and gets you a thank-you e-card! Please include your email address. Donating $50 spreads the joy of music to two residents! This buys two iPods and headsets and gets you a t-shirt (Sizes TBD) and card! Please include your email. Donate $100 to be one of our benefit concert sponsors! This buys 4 iPods and headsets and gets you a t-shirt (Sizes TBD) and a small gift! Please include your email.